Today I'm rocking one of my favourite Essie polishes and one of my favourite nail colours for Summer! I originally tried this polish in a mini set from Essie's 2012 Navigate Her Spring Collection. I emptied that mini in a snap and scooped up a full size because I just can't be without it! 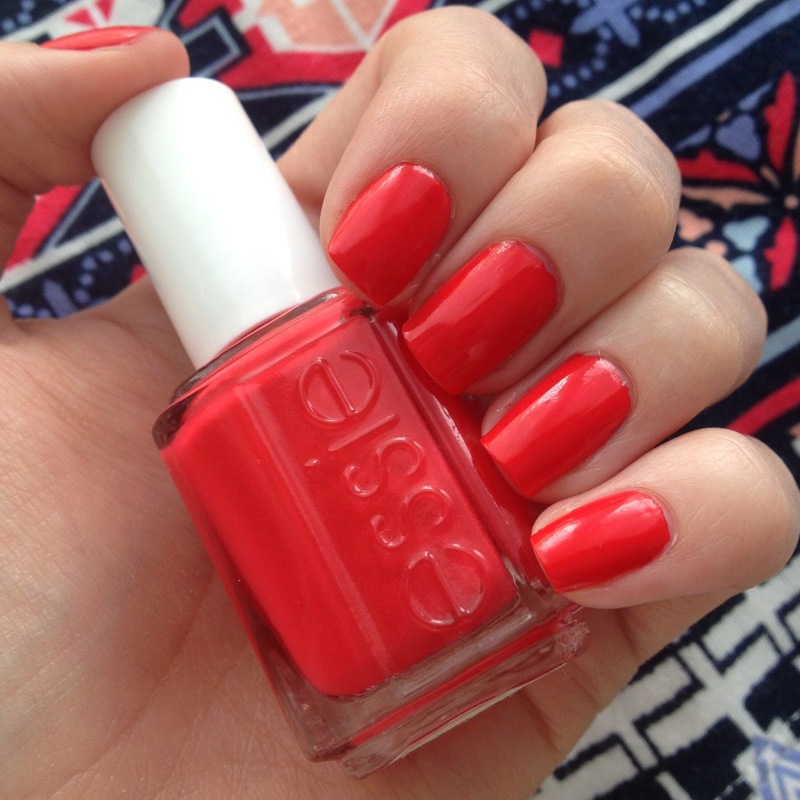 Essie Ole Caliente is a vibrant, almost-but-not-quite neon orange-red creme - can red even be neon?? It's bright, hot and spicy. It's flattering when I'm very pale and when I have a bit of a tan. It is my all-time favourite pedicure colour too. The real selling point on this polish, however, is the formula. We're talking about the much sought after one-coat wonder! Smooth, silky, opaque. It's perfect. Couldn't dream up a better formula than this one! If every nail polish applied like this, I would know I was in heaven. Despite this being an old Limited Edition colour, I have seen it available at a handful of salons and beauty supply stores. If you can find one, I highly recommend grabbing one!